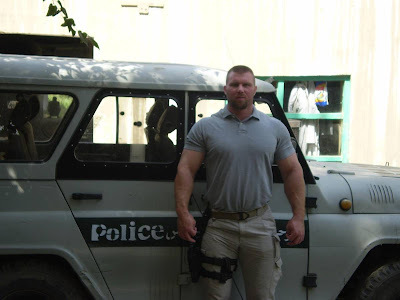 This is Jason, an ex-Marine and now some kind of military police consultant in Iraq. He's not handsome, but he's all-man. He looks so nice and cuddly. He's ready to take a shower in the last picture. I volunteer to wash his back. These images are all quite a bit larger, so be sure to right click on them and select "open link in new tab" to see big Jason in all his magnificent godliness. I'd like to give Jesse a personal welcome home celebration when he makes it back here! What do you mean not handsome? WOOF! Very, Very WOOF!!! He's the hottest man on here. Where did you find these pictures? You rock buddy! thanks for these pics! Jason sure is a real alpha! 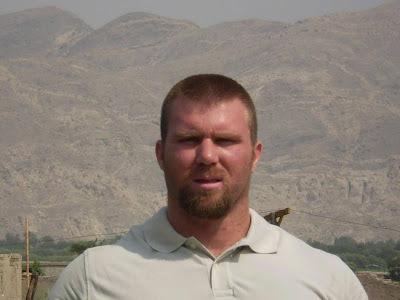 I'll try add a new post with his pics.... likin' your blog. and don't forget to add me as in your blogroll! Not handsome? He is heart stoppingly beautiful! Oh God I'm in love. Thanks for sharing these pics. I've seen him before, in news photos. 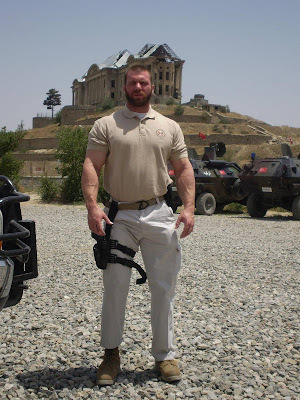 I think he must have been working in the security unit guarding President Hamid Karzai in Afghanistan, because I saw a pic of him in Time Magazine right after an assassination attempt on Karzai.